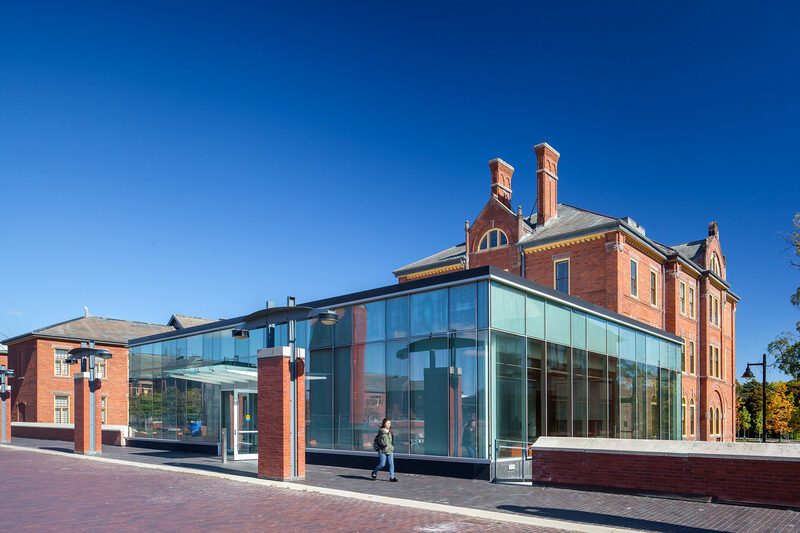 Building ‘G’ at Humber College is the last of the historic cottages to be restored on the distinctive Lakeshore Campus. 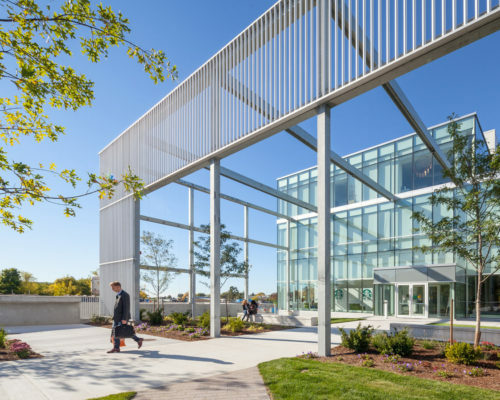 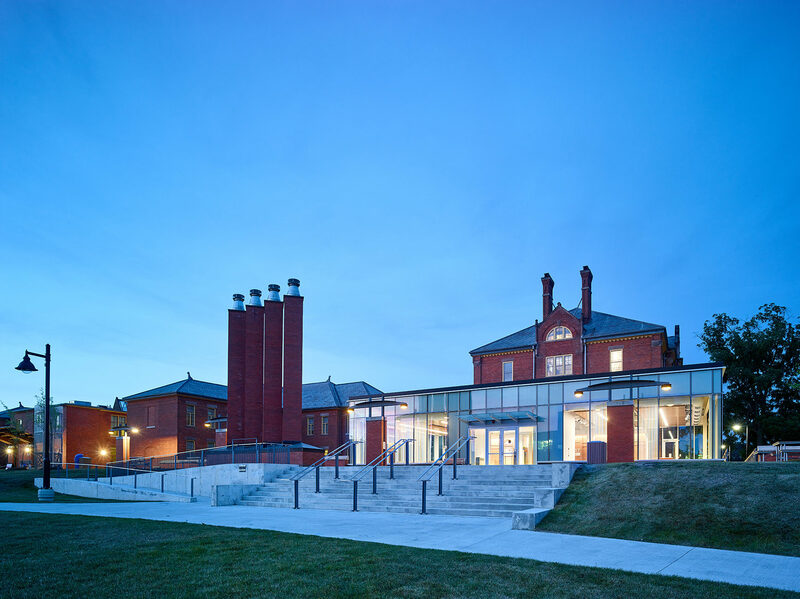 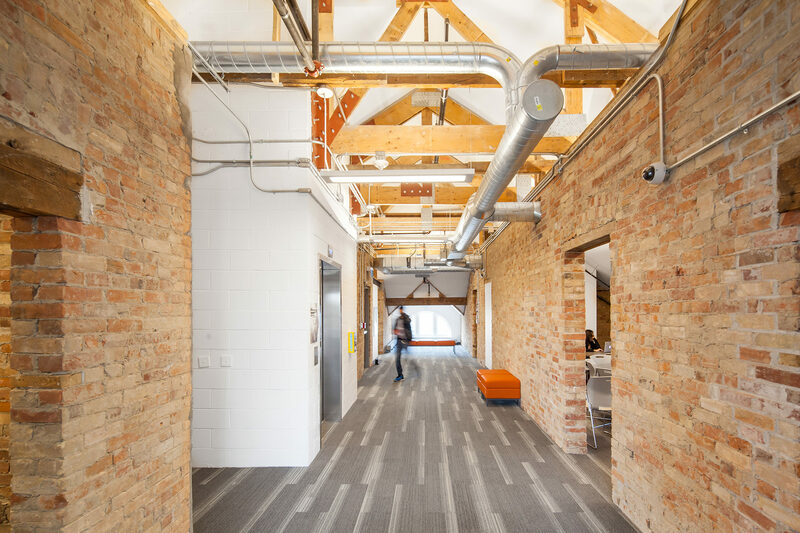 Moriyama & Teshima Architects worked in collaboration with Humber College to transform the heritage Administration Building of the former Lakeshore Psychiatric Hospital into a vibrant hub that cultivates relationships between students and industry professionals. 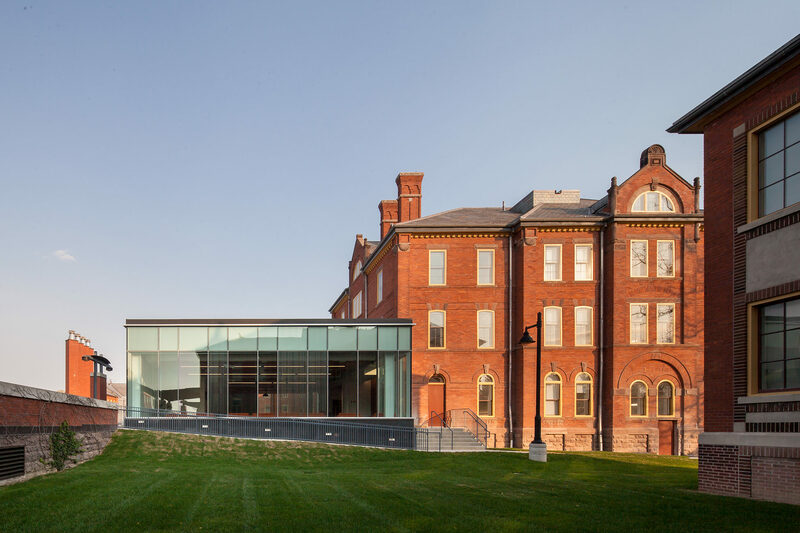 The Centre for Entrepreneurship consists of a new one-storey glass and zinc clad addition on the west side of the existing building, designed to engage the heritage façade with minimal impact while providing maximum exposure of the historical building. 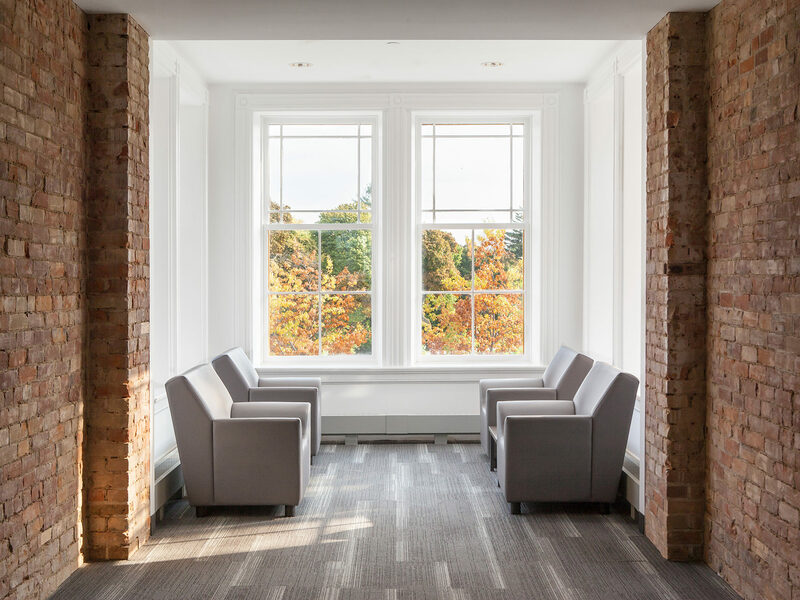 The addition is sited centrally to the surrounding Cottages and provides an expansive view across the Quadrangle to create a sense of community. 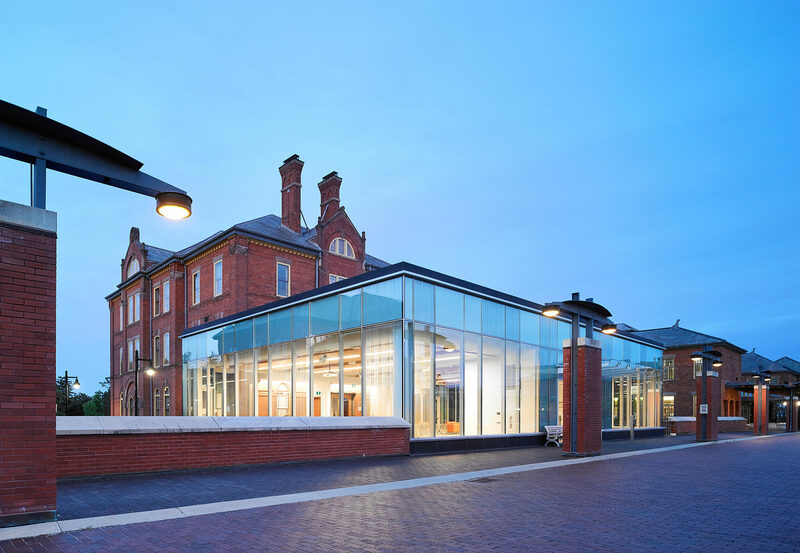 The addition entrance is centrally located and opens into the light-filled Event Space. 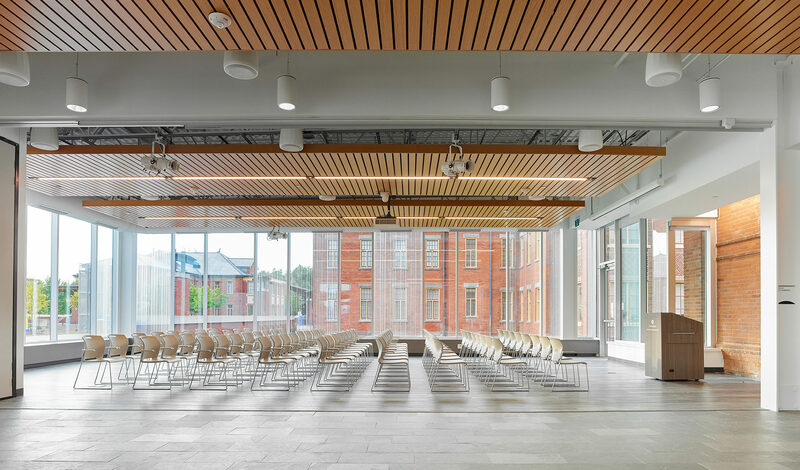 The main space is designed as a multipurpose room with a capacity of approximately 500 people in a formal reception; on a daily basis the space functions as a welcoming student lounge. 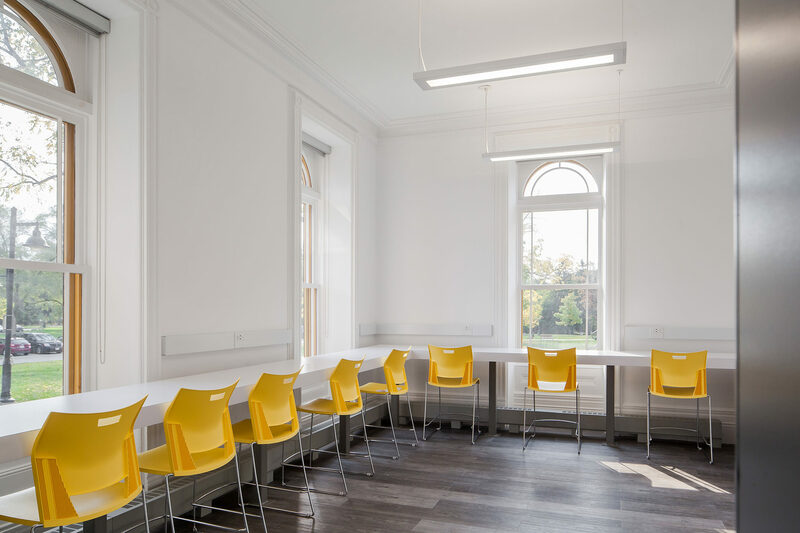 The provision of a motorized operable partition allows the room to easily house concurrently run private functions, lectures or workshops. 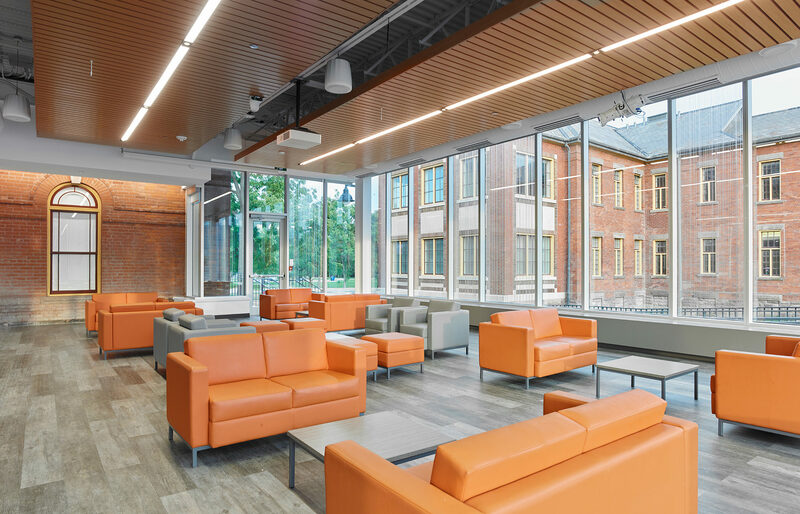 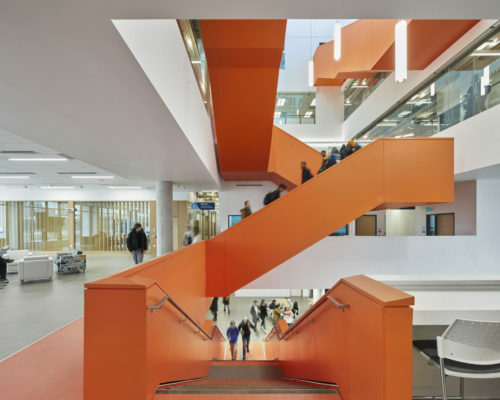 The interior alterations within the existing four-storey building provide a variety of formal and informal spaces giving students flexible options for collaborative learning and socializing. 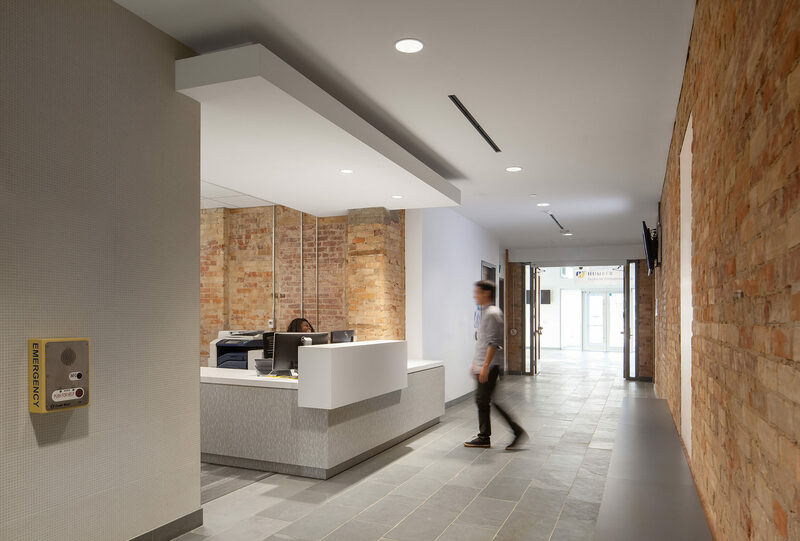 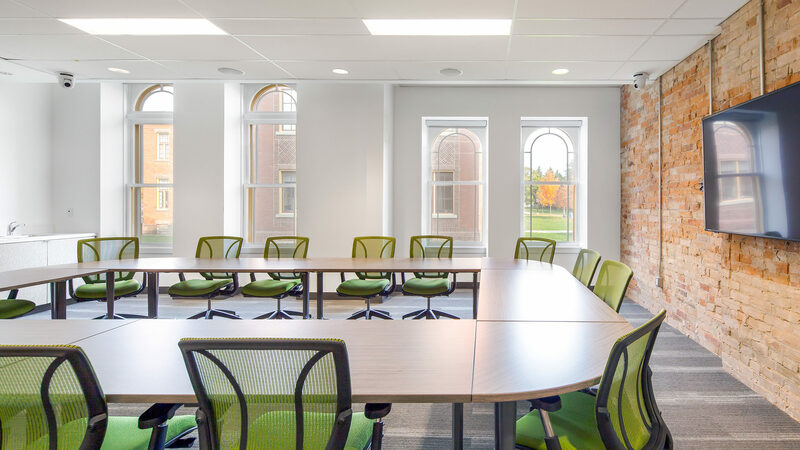 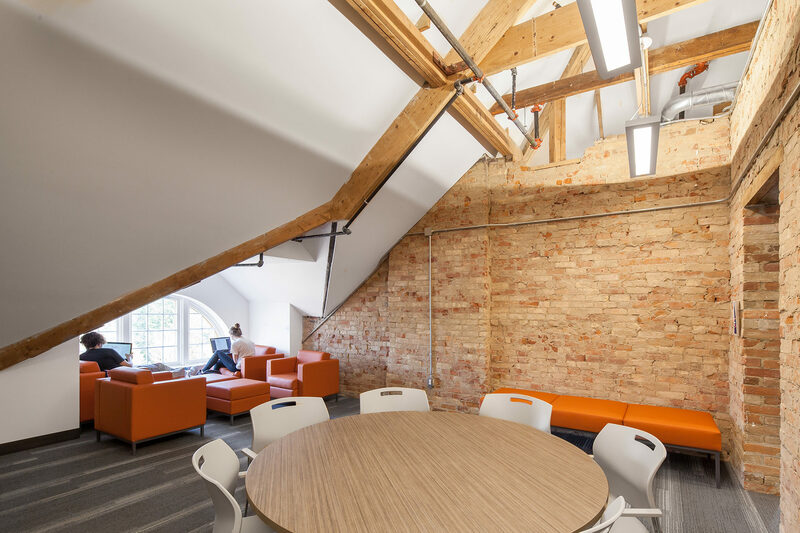 In order to optimize natural daylight and new program functions, strategic demolition of existing load-bearing masonry walls was carefully considered, and select heritage areas were restored to showcase the building’s history.